. 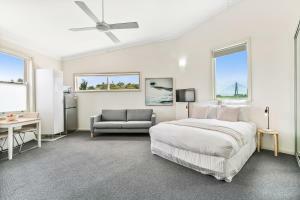 يعرف Waldorf Apartment Group بالمستوى الراقي لخدماته ولباقة موظفيه، وهذا ما ستجده في Waldorf Wahroonga Residential Apartments. يمكن لضيوف الفندق الاستمتاع بالميزات التالية على أرض الفندق: تسجيل وصول/خروج سريع, تخزين الأمتعة, صف السيارات, غرفة عائلية, خدمة غسيل الملابس . 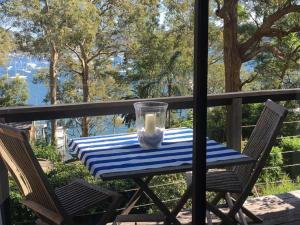 تنعكس أجواء Waldorf Wahroonga Residential Apartments في غرف الضيوف.اتصال لاسلكي بالإنترنت, غرف لغير المدخنين, مكيف هواء, تدفئة, مكتب هي بعض الميزات الموجود في العديد من الغرف. يمكنك طلب اللائحة الكاملة للخدمات في الفندق ومن بينها مسار جولف - ضمن 3 كم, حديقة. إن Waldorf Wahroonga Residential Apartments هو مكان مثالي للمسافرين الذين يتطلعون إلى الراحة والاستجمام في سيدني. يرجى العلم أن ساحة انتظار السيارات في هذا العقار يخضع لسياسة أسبقية الحضور. Lift was broken and we had to carry all our luggage, cot, pram, two kids up multiple flights of stairs in the fire escape. These stairs were not safe as they didn’t have a suitable railing to protect the children. Passage also smelled of vomit. We found the accommodation was very good as far as value for money, location, cleanliness & facilities provided were excellent. Only problem was bed was too hard. Will be staying again in near future. Clean and tidy but aging decor. Staff were able to assist with after hours check-in. Very clean and the common area is very comfortable. There is no reception only the care takers, they are very helpful but they are not always onsite. So if you have any problem with room it may not get to resolve until care takers are in. 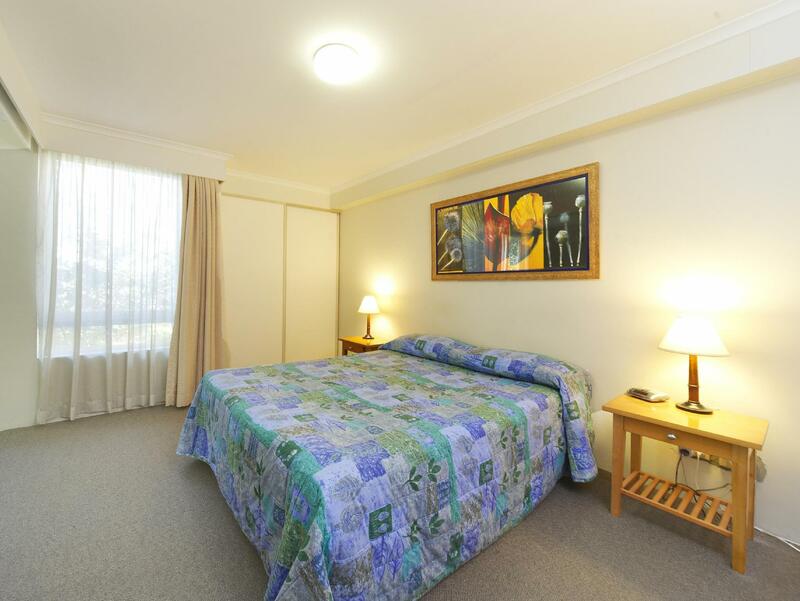 Although all the rooms are equiped with similar facilities but the room set up varies. we stayed in two different rooms, one of the rooms made me feels like hospital ward, the care taker let us changed the room we want without problem. The management should bring all the rooms to similar standard. This is a bit away from the town and from any facilities, but it's a nice and quiet place to stay. Quite clean and tidy. On-site parking is limited but I was not inconvenienced during my stay. This is 'apartment' accommodation and not 'motel'. Parking on site is limited. There is ample street parking. Outdated decor and old bed linen and mattresses. Shower continually ran out of hot water. The stay was very nice except when we had a shower either morning or night there was no hot water period.. Unfortunately, when washing dishes before we left,we had some hot water in the kitchenette. Nothing better than having a hot or warm shower when travelling. It was freezing both days. We spent 2 nights at the Waldorf while moving my mother in law from hospital into her retirement home. Kind of ironic as we soon noticed features about the Waldorf that seems familiar. 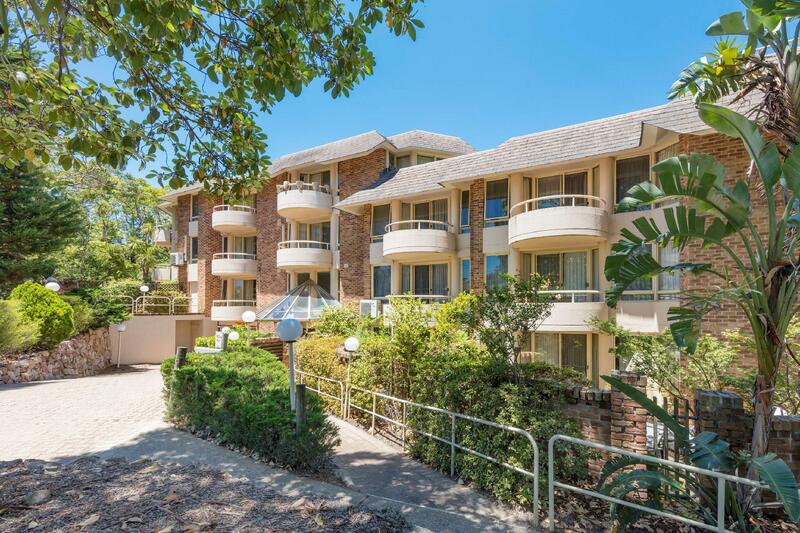 We did some research and found that The Waldorf Wahroonga is an ex retirement village. That explains the large community areas in the middle of each floor. Guests can access a library - squillions of intresting books, a piano and even a huge fish tank. The sun deck is a bit shabby and needs a revamp. So much room! Would be good with kids as there is space for them. All the furniture around the place is interesting, but not used. The worst aspect is the parking. What little there is was awkward to get in and out of. I could see this being even worse during full occupancy. 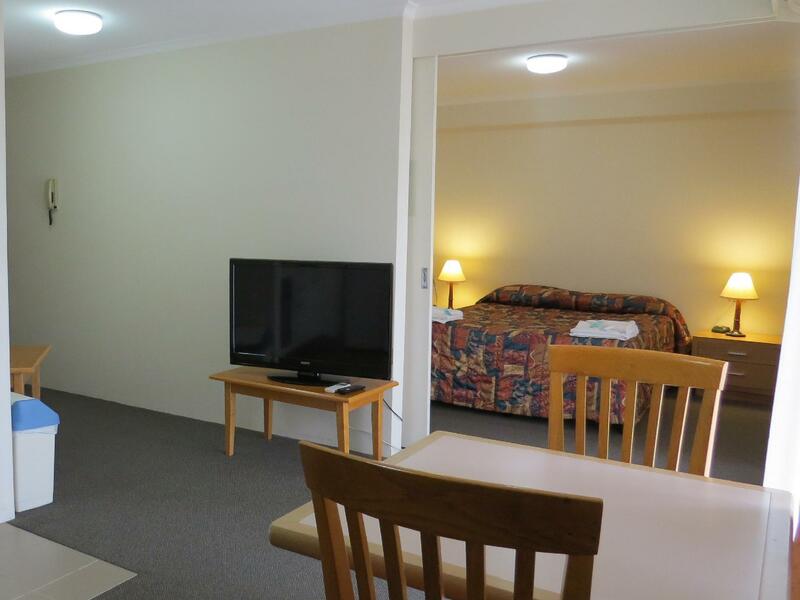 Yeah, I'd stay there again, especially if travelling with family as you could prepare your own meals etc there and not be tripping over each other as you can in smaller motel type accommodation. It was good stay except when we arrived there was a food that was left rotting inside a pantry when we opened the cupboard the unpleasant smell just spread to the entire room. We left it inside a bucket outside our room. Very disappointed with the customer service. We weren't happy with the location of our room at street level facing the highway because of the noise. Despite a 5 day stay and pleading for a room change we were ignored. The beds are very uncomfortable and although the rooms are very clean, the bathroom floor just needed a good scrub to maintain the standard of the rest of the room. The parking situation is quite woeful. In five days we managed to secure a park on 2 occasions and there are only 4 spaces on street. Good luck. Good. Friendly staff. Clean and comfortable studio apartment.